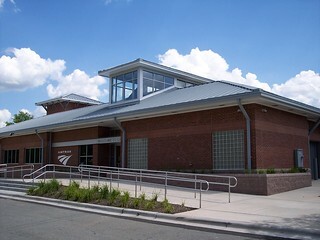 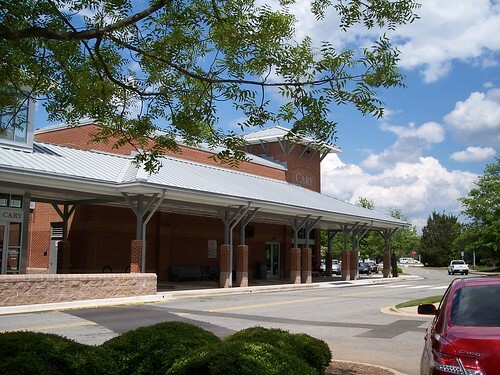 Cary has a large modern station building. 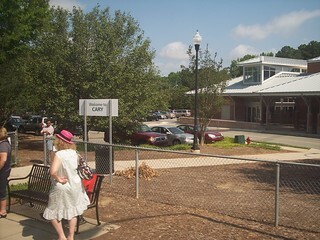 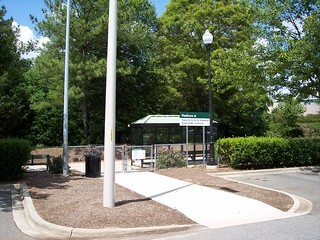 Cary has two platforms, one on each side of the station. 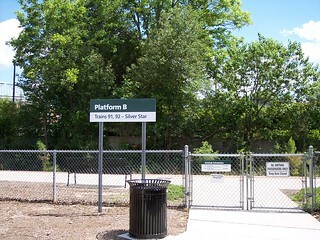 Platform A serves the Carolinian and Piedmont and platform B serves the Silver Star. 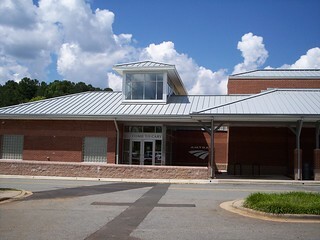 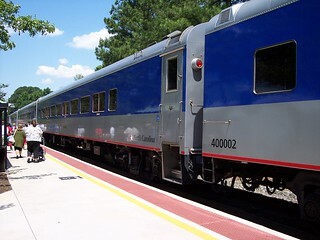 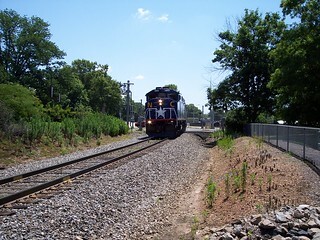 The Piedmont to Charlotte at Cary. 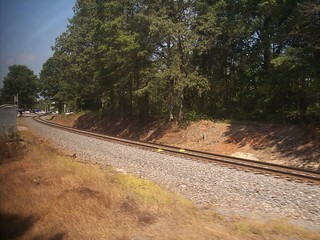 The station and tracks to Durham as seen from the Silver Star.